Science, technology, engineering and mathematics (STEM) fields offer high-demand employment opportunities. Employers across a broad range of industries rely on STEM experts for a variety of positions. A lot of those jobs are stable and high-paying. SCC offers diversified, relevant STEM courses to prepare students to participate in these ever-changing, dynamic fields. Options include associate of applied sciences (AAS) and associate of arts (AA) degrees, as well as certificates. Once you earn your AAS or AA degree, you can enter the workforce immediately or transfer to a four-year institution to earn a bachelor’s degree. 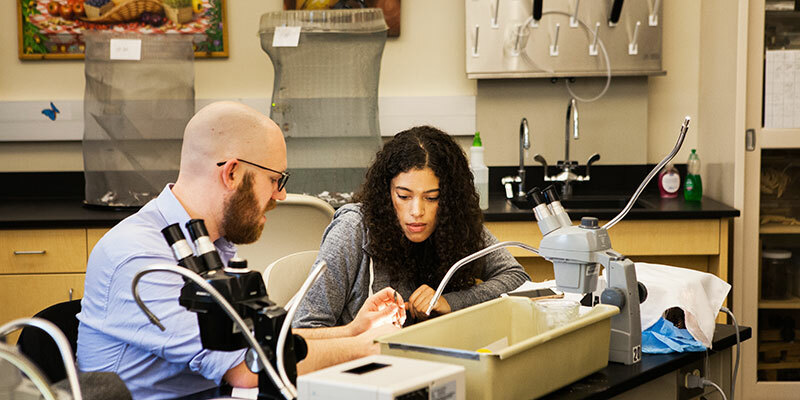 Students also can take premajor courses specifically designed to prepare them for entry into a baccalaureate program in a STEM field, like dentistry, medicine or veterinary medicine. SCC’s mission is to help you achieve your goals, whether you want to start your own business venture enter the workforce immediately, or transfer to a four-year university to earn your bachelor’s degree. Talk with your advisor to discuss your options. Our counselors are here to help you reach your goals!